Urban Airship, a startup that makes it easier for mobile app developers to offer push notifications, in-app purchases, and other key features, has closed a new $5.4 million funding round. The Series B round is being led by Foundry Group, with existing investors True Ventures and Founders Co-op also participating. Foundry Group’s Managing Director Jason Mendelson will be joining Urban Airship’s board. 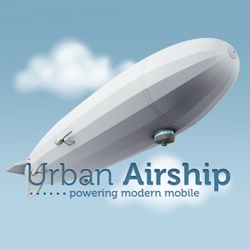 At a high level, Urban Airship lets mobile developers take advantage of popular (and powerful) features seen on modern mobile platforms like iOS and Android, without having to reinvent the wheel for each app. These services include managing push notification campaigns across apps running on multiple platforms (there’s support for Android, BlackBerry, and iOS). So far, the company says it has distributed over 1 billion messages. Urban Airship also offers functionality related to monetization, including ever-popular in-app purchases. The most recent addition to Urban Airship’s feature-set is support for subscriptions, which are sure to play an important role for publishers in the coming years. The startup powers the subscriptions seen on the recently-released Newsweek iPad application, which is the the first iPad periodical to feature them (don’t be surprised if more publishers turn to the startup to power their subscriptions). Other clients include Tapulous, LivingSocial, and Gowalla. Urban Airship previously closed a $1.1 million funding round in February, so this brings their total funding to $6.5 million.